We have written previously regarding a current and former employees’ lawsuit against Amgen, Inc. (“Amgen”), and its subsidiary, Amgen Manufacturing, Limited, for claims arising out of significant drop in the price of Amgen stock. A more complete discussion of the facts of this case is available here. To briefly recap, plaintiffs in Harris v. Amgen alleged that fiduciaries of the Amgen Retirement and Savings Plan or the Retirement and Savings Plan for Amgen Manufacturing, Limited (collectively, the “Plans”) breached their fiduciary duties by continuing to offer Amgen stock as an investment option in the Plans when they knew or should have known that the value of that stock was inflated because of alleged improper marketing by Amgen for off-label use of two of its best-selling drugs. The Supreme Court’s second reversal of the Ninth Circuit in this case is significant because it makes absolutely clear to lower courts that a new, heightened pleading standard applies in ERISA stock drop cases and complaints filed before the Supreme Court’s decision in Fifth Third Bancorp v. Dudenhoeffer (no matter how factually detailed) are unlikely to meet that new pleading standard unless and until they are amended. To understand the significance of the Supreme Court’s January 25, 2016 decision in Harris, it is necessary to briefly recap the lengthy procedural history of this case and the Supreme Court’s decision in Fifth Third Bancorp v. Dudenhoeffer. On June 4, 2013, the Ninth Circuit reversed dismissal of the ERISA class action in Harris and, on October 23, 2013, denied defendants’ petition for a rehearing en banc. See Harris v. Amgen, Inc., 717 F.3d 1042 (9th Cir. 2013), petition for rehearing en banc denied 738 F.3d 1026 (9th Cir. 2013). Defendants filed a petition for writ of certiorari to the Supreme Court. On December 13, 2013, the Supreme Court granted a writ of certiorari in Fifth Third Bancorp v. Dudenhoeffer, 134 S.Ct. 882 (2013), to consider whether an ESOP fiduciary’s decision to retain the employer’s stock as an investment option in the company’s retirement plan is entitled to a presumption of prudence. Because Harris dealt with many of the same legal questions at issue in Dudenhoeffer, the Supreme Court withheld a decision on the Harris defendants’ petition for certiorari until after it issued a decision in Dudenhoeffer. On June 25, 2014, the Supreme Court published its decision in Dudenhoeffer. We discussed that decision in detail here. 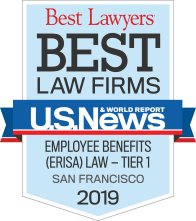 To summarize, the Supreme Court held that ERISA fiduciaries are not entitled to a presumption of prudence regarding the decision to retain employer stock as an investment option in the company’s retirement plan. It also held, however, that to state a claim, plaintiffs in ERISA stock drop cases must “plausibly allege an alternative action that the ERISA fiduciary could have taken that would have been consistent with the securities laws and that a prudent fiduciary in the same circumstances would not have viewed as more likely to harm the fund than to help it.” Fifth Third Bancorp v. Dudenhoeffer, 134 S.Ct. 2459, 2472 (2014). The Supreme Court further held that lower courts should “consider whether the complaint has plausibly alleged that a prudent fiduciary in the defendant’s position could not have concluded that stopping purchases . . . or publicly disclosing negative information would do more harm than good to the fund by causing a drop in the stock price and a concomitant drop in the value of the stock already held by the fund.” Id. at 2473. On June 30, 2014, after the Dudenhoeffer decision, the Supreme Court vacated the Ninth Circuit’s decision in Harris and remanded for further consideration in light of Dudenhoeffer. See Amgen Inc. v. Harris, 134 S.Ct. 2870 (2014). After remand from the Supreme Court, the Ninth Circuit published a decision again overturning the district court’s granting of Amgen defendants’ motion to dismiss. See Harris v. Amgen, Inc., 770 F.3d 865 (9th Cir. 2014). Remarkably, although the Ninth Circuit cited the portions of Dudenhoeffer quoted above, it failed to assess whether the factual allegations contained in the Harris plaintiffs’ complaint met the new pleading standard adopted in Dudenhoeffer. See id. at 877. Instead, the Ninth Circuit held that the complaint was sufficient because, as a general matter, “when the previously concealed material information about [a] company is eventually revealed . . . the stock price will inevitably decline, almost certainly by more than the amount it would have declined as a result of merely withdrawing the [f]und as an investment option.” Id. at 878. The Ninth Circuit explicitly rejected defendants’ argument that Dudenhoeffer established a special pleading standard, instead holding that, “It is true that the Court articulated certain standard for ERISA liability in [Dudenhoeffer]. But we had already assumed those standards when we wrote our earlier opinion.” Id. at 879. Following this decision, defendants filed a petition to rehear the case en banc, which the Ninth Circuit rejected. See Harris v. Amgen, Inc., 788 F.3d 916 (9th Cir. 2015). In a prescient dissent from the court’s refusal to rehear the case en banc, Judge Kozinski described the various issues he found with the panel’s second Harris decision. In the opening paragraph of his dissent, Judge Kozinski noted that, “The Supreme Court has previously admonished us for ignoring a grant, vacate, and remand (GVR) order and reinstating our judgment without seriously confronting the significance of the cases called to our attention. We’re at it again.” Id. at 923-24 (internal quotations and citations omitted). Judge Kozinski further noted that, “Unsurprisingly, given that it was filed before [Dudenhoeffer] was decided, the existing complaint fails to adequately plead” the new factual prerequisites for ERISA stock drop cases as required by the Supreme Court and that “the panel’s holding not only conflicts with [Dudenhoeffer’s] special emphasis on Rule 12(b)(6), it fundamentally undermines Iqbal and Twombly in our circuit.” Id. at 924, 925. Following the Ninth Circuit’s refusal to rehear the panel decision en banc, the Harris defendants filed another petition for writ of certiorari to the Supreme Court. On January 25, 2016, the Supreme Court resoundingly agreed with Judge Kozinski’s dissent. See Amgen v. Harris, 136 S.Ct. 758 (2016). In a short, per curiam opinion, the Supreme Court summarily reversed the Ninth Circuit’s second decision in Harris. In doing so, the Court noted that the Ninth Circuit “failed to assess whether the complaint in its current form ‘has plausibly alleged’ that a prudent fiduciary in the same position ‘could not have concluded’ that the alternative action ‘would do more harm than good.’” Id. at 760. The Court then noted that, “Having examined the complaint, the Court has not found sufficient facts and allegations to state a claim for breach of the duty of prudence.” Id. The Court then ordered the case remanded for the district court to determine in the first instance “whether the stockholders may amend [the complaint] in order to adequately plead a claim for breach of the duty of prudence.” Id. 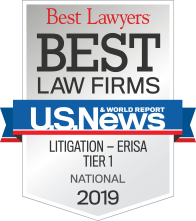 This case is significant to any ERISA fiduciary offering employer stock as an investment vehicle in retirement plans because it reaffirms the new special pleading standard applicable in ERISA stock drop cases. As the Supreme Court made very clear, following Dudenhoeffer, to allege a breach of the duty of prudence in an ERISA stock drop case a plaintiff must plausibly allege facts demonstrating “an alternative action that the defendant could have taken that would have been consistent with the securities laws and that a prudent fiduciary in the same circumstance would not have viewed as more likely to harm the fund than to help it.” Id. at 759 (quoting Dudenhoeffer, 134 S.Ct., at 2472). Without such allegations of fact, ERISA stock drop cases are likely to be dismissed pursuant to Federal Rule of Civil Procedure 12(b)(6).